American Beech For Sale - Low Prices Online & Fast Ship! The American Beech Tree grows in the Eastern part of the United States and Eastern Canada. Grows up to 115 feet and has beautiful foliage. 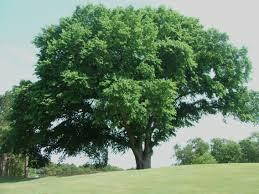 It is a deciduous tree meaning it will lose it's leaves every fall after they have reached a peak in autumn. The leaves are sparsely toothed, dark green but straightforward. It favors shade over the direct sun and with fertile soil and ample moisture it will grow a little faster than in other conditions. It is usually slow growing at 13 feet per 20 years. Also, it is common in forests and is easily identified by its distinct leaf and smooth off-white bark which is iconic for heart-shaped carvings. American Beech is a type of tree which is known for its smooth, gray bark and a thick canopy of leaves. These leaves make the American Beech the perfect tree for adding shade to yards. The American Beech attracts lots of wildlife thanks to its partially hollow trunk, which makes it the ideal home for squirrels and other small animals. It also produces nuts during the autumn months, which provide an excellent source of food for animals such as birds, squirrels, chipmunks, and even wild turkeys. Beechnuts are also edible for humans. Amazingly, the American Beech tree can live for up to 300 years, making it a lovely addition for both current and future generations to enjoy. The American Beech is a medium-sized tree that is also called White elm. This native tree grows in most of the eastern United States. Ulnus Americana can be self-pollinating as it brings both male and female flowers. Ulnus Americana is found mostly in wetlands and swampland areas. Ulnus Americana grows best in full sunlight, and it becomes well in open spaces, making it an excellent tree to have in the city. Ulnus Americana is highly susceptible to the Dutch elm disease that has killed many elm trees throughout the United States and Canada.